Move your feet or move your platform? 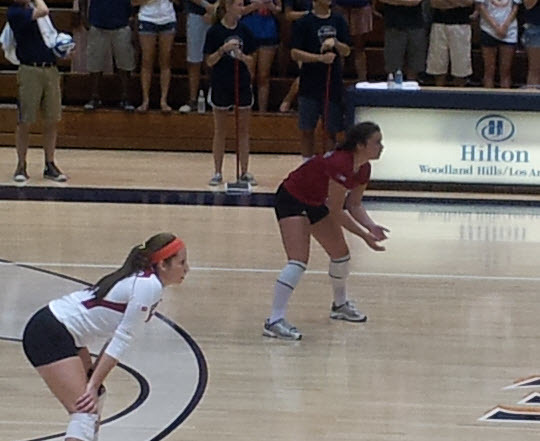 A topic of fairly frequent discussion in coaching conversations is serve reception technique. A lot of us were taught some variation on the idea of getting yourself to the ball – perhaps center line, perhaps pass left. Call that the “move your feet” school of passing. This is a school with deep roots. It basically goes back to the beginnings of forearm passing (no, people didn’t always pass with their forearms, but don’t ask me when that changed). In those days serves were comparatively weak. They were almost exclusively done from standing, so they had an arc and often had little in the way of velocity. 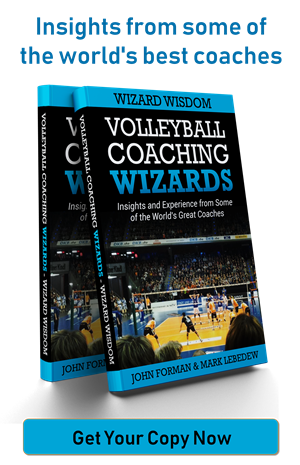 In other words, there was time for passers to move – as witnessed by the USA men employing a 2-person serve reception when they won their Olympic gold medals in the 1980s. Then came the Brazilians. In the 1980s they started topspin jump serving. It wasn’t quite to the point you see it today – especially in the men’s game – but it was fast enough to force a change in serve reception to generally having a minimum of three passers, which is what you see today. Then came the jump float serve. Granted, it’s not as pacy as the topspin version. 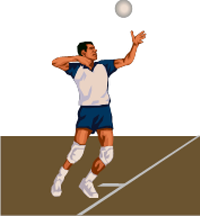 The lack of an arc on the ball because you’re serving from above the level of the net, though, combined with higher velocities than normally seen from the standing version, made for less reaction time. One can often find coaches targeting 40mph+ for jump float serves. At that tempo the ball goes about 59 feet per second. That’s just under the length of the court. Not a lot of time to react and move. 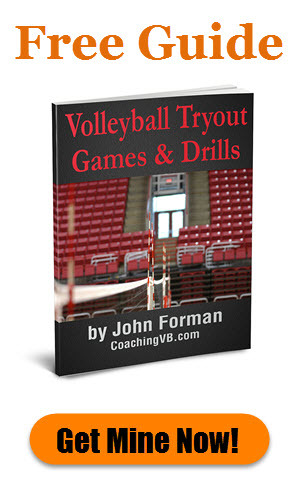 Now imagine how quickly a strong jump serve gets to a passer. Consider in that thought the broad jump taking them further into the court on contact. How much time do you think a passer has to move their feet? At what point do serves move too fast for passers to use that perfect reception technique that we’ve all been taught? 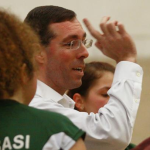 One coach I spoke with joked, “14s.” Obviously, the answer comes down to the quality of the serving. At what point are serves hard enough that you don’t need to add anything to them to get the ball to target? The answer is probably very similar to the answer to the first question. And at a certain point you’re trying to take something off the ball. When I was at the HP Coaches Clinic in 2015, French coach Laurent Tillie caused a ruckus by suggesting a cross-over step and end passing with bent arms. After hearing about this, Mark Lebedew did a review of the French passing in recent international competitions. He found that the main focus was on setting and holding a proper platform angle. The cross-over step only happened after the pass. So while training passers, are we better off giving feedback on the platform rather than the feet?